The Touring 36 is not just a pretty looking small size passenger boat. This World famous vessel is also a robust workhorse that can operate in rough environments. The optional RINA classed heavy duty fenders protect the fiberglass hull of the Touring 36 from impact. This vessel is on its way to Nigeria where it will get in contact with large size steal vessels to embark and disembark crew. With the RINA fenders the skipper can operate the Touring 36 with confidence and without worrying about damaging the hull. 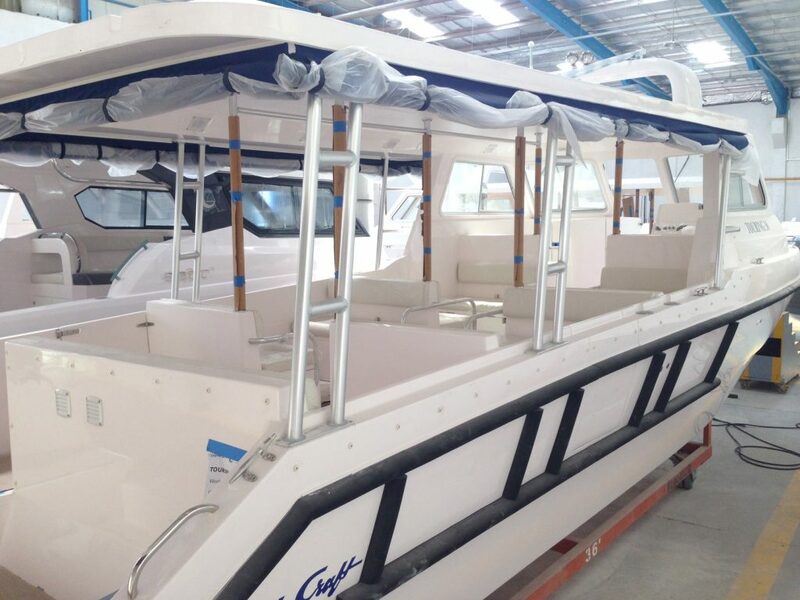 To know more about the World's best selling passenger boat the Touring 36 and watch a video here.